Tynllwyn Farm01938 553 175work FarmhouseA beautiful view and warm welcome awaits you at our 19th century farmhouse. Log fires and comfortable rooms. We are close to Powis Castle and the Llanfair narrow gauge railway and the canal for boat trips. 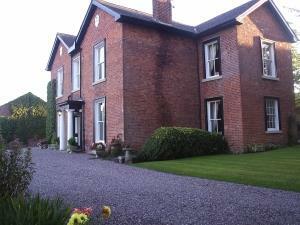 Large guest house with guest lounge, TV and log fires. In the dining room we serve plentiful meals and an English breakfast. Ideally situated for lovely walks along Glyndwr's Way and Offa's Dyke. Nearby facilities include fishing, golf, ponytrekking, quad bikes, leisure centre for swimming, fitness and bowls. Leisure centre in Welshpool. Pony trekking 6 miles. Shooting available nearby in season. Children welcome from any age. When approaching Welshpool on the bypass follow the signs for the Steam Railway which will bring you to the Raven roundabout. Take A490 north towards Llanfyllin. We are 1 mile along on the left hand side.